Bergamot essential oil’s effervescent citrus aroma makes it a great addition to your morning routine and to liven up your household chores. The yellow-green peel of this orange-shaped fruit is cold pressed to produce pure essential oil. While Bergamot has a primarily tart and uplifting aroma, there are also sweet and relaxing elements, making it a popular addition to perfumes. Bergamot has attracted attention for its skin-cleansing properties, and its elegant scent makes it a popular addition to luxury shampoos, soaps, and cleansers. Bergamot can cause photosensitivity, so avoid applying the oil before spending time in the sun. For years, Young Living members have enjoyed the benefits of Blue Tansy essential oil in some of our most popular blends, including Valor®, Peace & Calming®, and JuvaFlex®. Now Blue Tansy is available as a single oil for you to diffuse, apply topically, and share! A flowering herb with bright yellow tops, goldenrod (Solidago canadensis) comes from the Asteraceae botanical family. Its scientific name, Solidago, comes from the Latin word solidare, which means “to strengthen.” The plant is most often found in North America, but some species are found in Europe as well. It grows well in open areas such as meadows, prairies, savannas, and mountains, and you can find it at Young Living’s Whispering Springs Farm in Mona, Utah! With its light, woodsy scent and the naturally occurring constituent alpha-pinene, Hinoki makes a great addition to your essential oil collection. Steam distilled from Japanese cypress trees, Hinoki essential oil has been used historically for refreshing the soul. Today, the oil is used to create a calm, relaxing ambiance that can help increase spiritual awareness. Hong Kuai distilled at our Taiwan Co-Operative partner farm has an uplifting scent that promotes spiritual awareness and inspires clarity, intuition, and action. With a warm, gentle fragrance and numerous skin care benefits, Manuka essential oil is the perfect addition to your daily wellness and beauty regimen. Add it to your favorite skin care products to support the appearance of healthy-looking skin and reduce the appearance of blemishes. 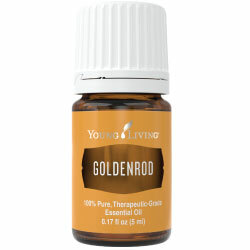 You can also enjoy its sweet aroma by diffusing it, adding it to household cleaners, and massaging it into tired feet. Manuka includes the naturally occurring constituents leptospermone, copaene, and isoleptopsermone. Northern Lights Black Spruce essential oil comes from Young Living’s Northern Lights Farm in British Columbia, Canada. Diffuse this rich, woodsy, and invigorating scent during meditation to create a fresh aromatic atmosphere. Add it to skin care products or apply it topically to help improve the appearance of dry skin or to help maintain the appearance of healthy-looking skin. Northern Lights Black Spruce can also be applied anywhere, including to the bottoms of feet, along the spine, back of neck, or used for massage. This oil includes the naturally occurring constituents alpha-pinene, camphene, and beta-pinene and is an important ingredient in many products, including Valor II®, Shutran™, Harmony™, Awaken™, Envision™, Grounding™, R.C.™, Relieve It™, and White Angelica™ essential oil blends. With Royal Hawaiian Sandalwood™∆ essential oil, create a complexion that glows! A few drops added to the moisturizer your skin loves the most can help reduce the appearance of blemishes. When you apply Royal Hawaiian Sandalwood directly as part of your beauty routine, you’ll experience brighter, more youthful-appearing skin. From the Kona Sandalwood Reforestation Project located in Hawaii, Young Living’s Royal Hawaiian Sandalwood is harvested only from dead or dying sandalwood in order to preserve the ecological balance and maintain respect for the sacred land. Harvesting occurs when a tree reaches the end of its natural life, which, fortunately, also happens to be when the highest percentage of oil is found. As an oil that promotes the appearance of smooth skin, Royal Hawaiian Sandalwood is found in popular Young Living beauty products such as our Boswellia Wrinkle Cream™ and Sandalwood Moisture Cream™. Valerian (Valeriana officinalis) essential oil possesses an earthy smell that promotes feelings of relaxation and eases occasional restlessness. Diffuse this grounding oil as the perfect bedtime companion or massage it into the bottoms of your feet after a long day to foster moments of peace. Valerian is a vital component in D. Gary Young’s Trauma Life™ essential oil blend.